We specialise in high quality, Chinese flowering tea. If your business is looking for something really different to wow your tea customers, we're confident our delicious flowering teas and glass teaware will do the trick. 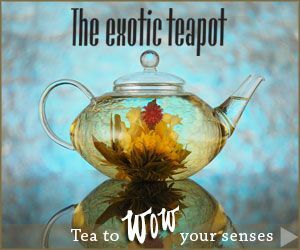 - Choose from our exclusive range of flowering tea designs and flavours. - Highly competitive wholesale prices - multiple tins and pouch sizes available. - All flowering teas are individually vacuum sealed for maximum freshness & labeled in English. - Extensive range of specialty loose teas and glass teaware to enhance the experience.